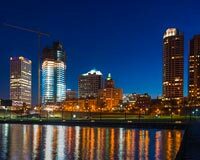 Known to many as the “Cream City” or the “Beer City,” Milwaukee is famous for food and beverage processing, yet its economic base is far broader than that. The town is also a manufacturing hub, producing some of the most important materials on the modern market. 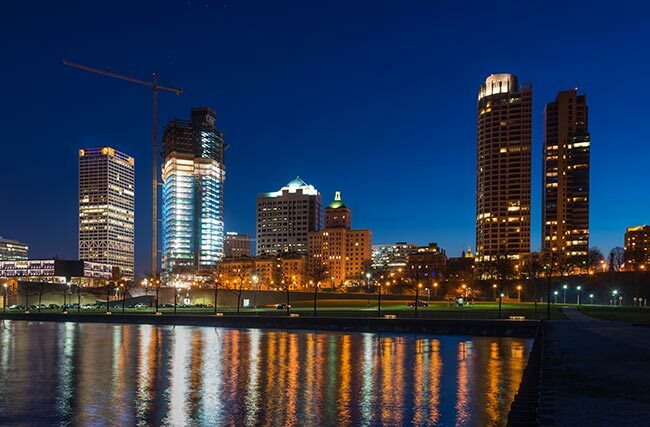 Combined with its vibrant tourism, health, and education industries, this has helped Milwaukee establish itself as Wisconsin’s main provider of jobs and wealth. ExpeditedFreight.com bolsters this promising economy, and thus that of Wisconsin as a whole, with safe, speedy expedited freight services. With a metropolitan population of more than 1.5 million, Milwaukee has had to attract a wide range of industries to keep its people employed and thriving. The town has largely succeeded in this endeavor, mastering a range of business fields that provide a robust business base. The city and its suburbs attract aluminum casting companies, automotive parts manufacturers, and battery producers, to name just a few. This makes it an essential source of supplies for the Midwest’s many automotive manufacturers, providing the trade Milwaukee needs to thrive. Attracting quality producers is only half the battle. Milwaukee also needs to send the items they produce to their customers, as well as to bring in all the supplies they need to operate efficiently and safely. This is only possible with quality logistics services, and that’s where ExpeditedFreight.com comes in. Precise Deliveries - We deliver into and ship out of every major community in the Milwaukee metropolitan area. This includes not only Milwaukee itself, but also suburbs and neighboring towns like Waukesha, Madison, Kenosha, Brookfield, Racine, and New Berlin. Vast Shipping Coverage - ExpeditedFreight.com has coverage and personnel in all major metropolises spanning the United States and Canada. As a result, when you need to ship something to Milwaukee, we can get a vehicle to your starting point in as little as two hours, no matter where it is. Likewise, if you’re sending products out of the city, we will have vehicles and support specialists along the way to make sure we finish your delivery on time and without damage. Sophisticated Planning & Tracking - From the moment we take your order, we come up with a plan to deliver it safely and on schedule. We then use advanced monitoring devices to keep an eye on the vehicle while it’s on the road. Whenever we detect a delay or source of damage, we guide the drivers around it, keeping your order on schedule while minimizing any risk to it. Safety Services - We devote a vehicle to your order alone, and make sure two drivers are in that vehicle. This ensures that the drivers are fully rested while allowing us to use storage equipment suited to your specific items. Both of these steps reduces the risk of damage to your goods. To learn more about our deliveries or request a free quote, visit ExpeditedFreight.com or call (414) 973-8000.